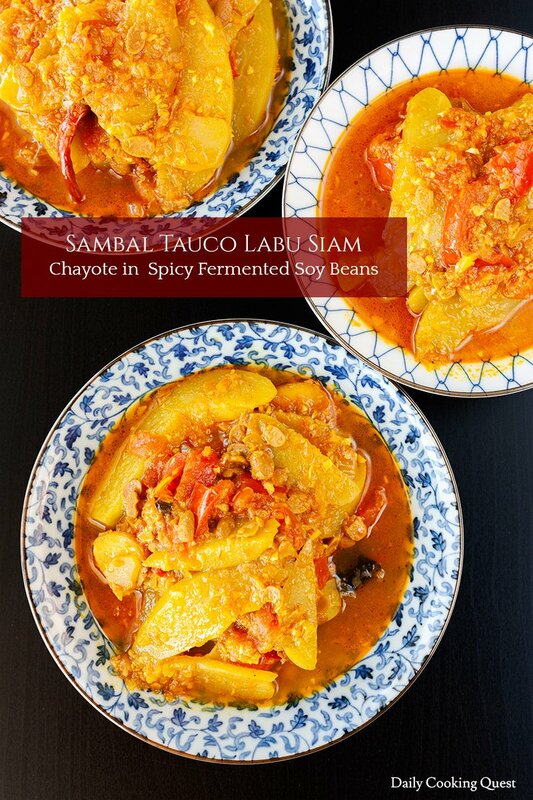 Sambal tauco labu siam (chayote in spicy soy beans sauce) is a staple side dish in many Indonesian rice dishes, such as nasi liwet and nasi rames, but can be enjoyed as stand-alone side dish too in daily meals. 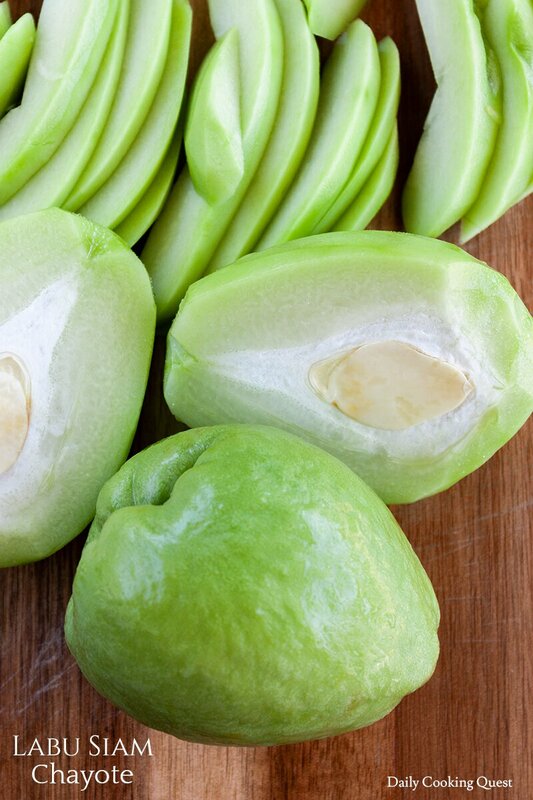 Have you ever tried chayote before? 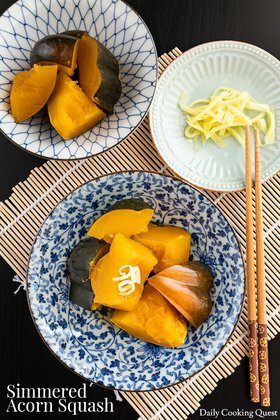 You can find this beloved squash in many traditional Indonesian dishes. 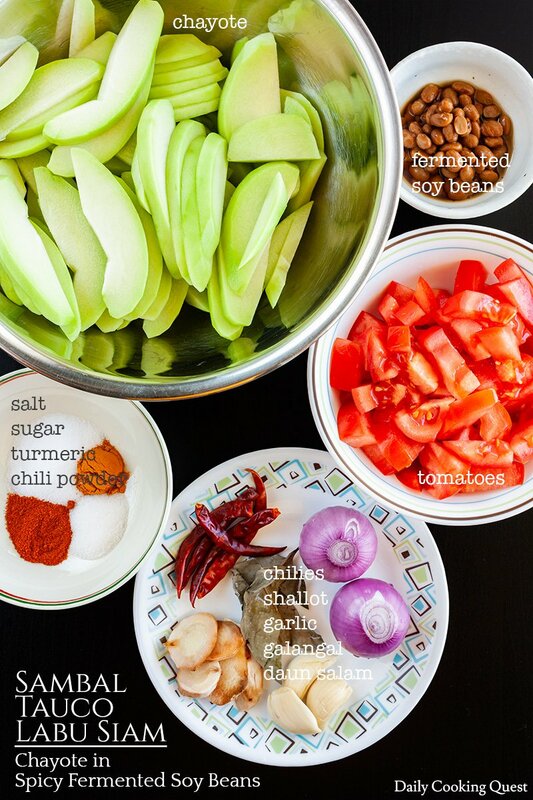 Today I will introduce you to sambal tauco labu siam, a spicy vegetable (and vegetarian) stew dish. 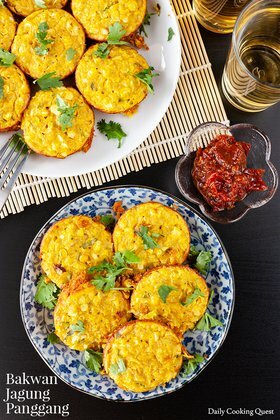 This is usually a side dish for many Indonesian rice dishes, such as nasi rames, nasi liwet, e.t.c. 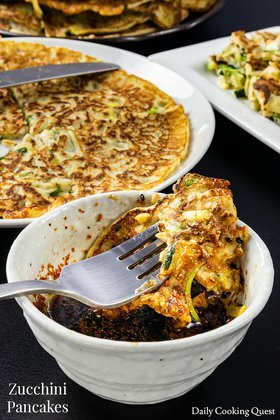 But you can always prepare this as one of your many sides to create an Indonesian feast. This is a quick guide to handle chayote. Prior to cooking, we peel the skin, and remove the seed from the chayote. You can cut it into chunks, wedges, thin slices, julien, etc. The simplest way Indonesian enjoy chayote is to cut into big chunks/wedges, and steam until soft, and enjoy with other vegetables in a lalapan. Note that if you handle chayote bare-handed, your fingers and palms might be covered with a thin film that makes your skin tight. I usually just wash it away with soap under warm/slightly hot water. But you can always wear a pair of gloves to avoid this problem in the first place. The second important ingredient to prepare this dish is of course tauco (fermented/salted soy beans). In my experience, even a tiny Mom-and-Pop Asian grocery store carries them. And there are quite a bit of varieties too, from the still solid beans, to a mix of solid and ground beans, to a totally ground version. Preferabbly you choose the ones where the beans are still solid, but if all you see are the ground variety, they are also okay. If your neighborhood store doesn’t carry them, you can also buy it online from Amazon. I like the ones from Yeo’s and Dragonfly. Add tomatoes, salt, sugar, turmeric, and chili powder. Mix well. Reduce heat to a medium, and cook until tomatoes have wilted and become saucy. Add chayote and water/stock. Mix well. Once the sauce boils, reduce heat to a simmer, cover the wok/skillet with a lid, and cook until chayote becomes translucent and tender. Turn off heat. Transfer to a serving plate, and serve with steamed white rice. This is amazing! I keep making it. 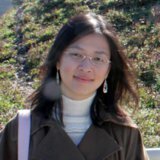 Even my friends are into fermented soy beans. Yay, glad you like it Grace. 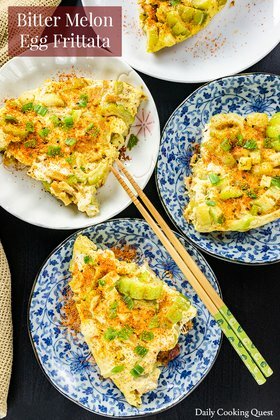 It is always fun to stumble upon a recipe that becomes a new favorite, even more so when it is friends approved!